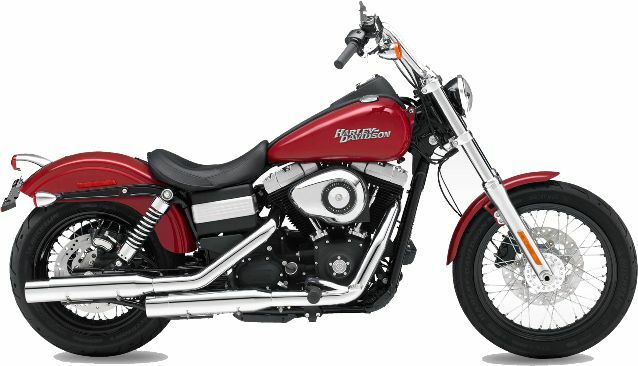 Harley Davidson had launched Street Bob in the Indian market at Auto Expo 2012. The Harley Davidson Fxdb Street Bob is powered by an Air-cooled, Twin Cam 96 engine with a displacement of 1,585 cc which gives max Torque of 124 Nm at 3250 rpm. The bike has loaded with Electronic Sequential Port fuel injection fuel system with 6-speed manual gearbox. The Street Bob has ground clearance of 120 mm, seat height of 680 mm and wheelbase of 1630 mm which gives comfortable ride in any condition. Total weight of bike is 305 Kg with the max fuel capacity of 17.3 L. The Harley Davidson Fxdb Street Bob has comes in four attractive colors: vivid black, black denim, black ice denim and red hot sunglo. As we seen other Harley Davidson bikes, the color painted on petrol tank, front and fender. 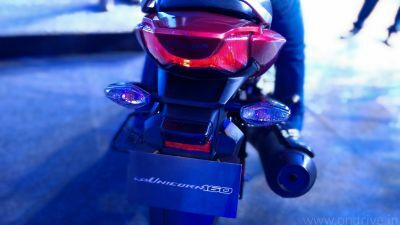 Other features which empower the bike is Anti-Lock Braking System (ABS), Multi-late clutch, 4 piston fixed front and 2-piston torque-free floating rear, 55-watt low beam and 60-watt high beam. The Harley Davidson FXDB Street Bob available at Rs. 9.95 lakh (ex-showroom Delhi).